In 2015, the Jurassic Park universe got a much-needed kick in the pants following 2001’s underwhelming trilogy capper, Jurassic Park III. While nowhere near as heart-stopping, nor as iconic as Steven Spielberg’s first dino-drama, Colin Trevorrow’s Jurassic World did adequately bring monster mayhem into the 21st century. Now, with the franchise having righted itself, the most charismatic and quotable of the original scientist trio, Jeff Goldblum, is back and ready to step foot on Isla Nubar in Jurassic World: Fallen Kingdom. 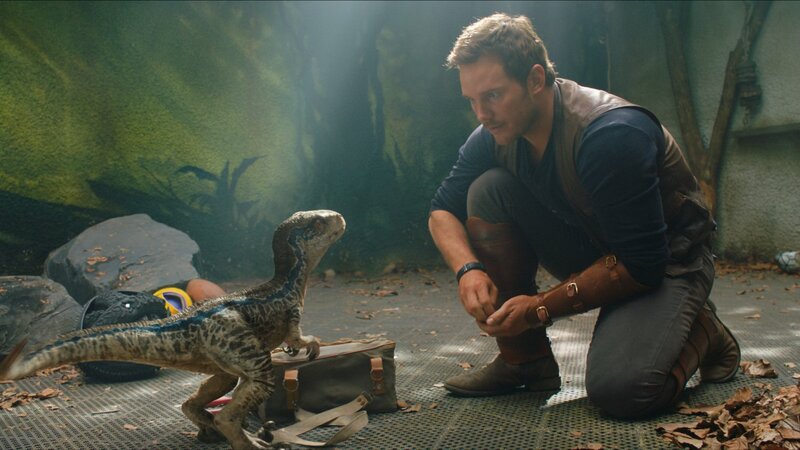 Opening in theaters on June 22nd, the direct sequel to Trevorrow’s reboot also sees Bryce Dallas Howard and Chris Pratt reprise their roles as Claire Dearing and Owen Grady, respectively. And if the return of chaos-theorist Ian Malcolm wasn’t enough to get you excited, Jeff Goldblum might’ve let it slip to Entertainment Tonight that Ellie Sattler, portrayed by the incomparable Laura Dern, might also be gearing up for a return to Jurassic Park universe. “I don’t want to pass on gossip like my character. But it would be good news to me and to everyone, [to] millions and billions of people all over the world… all over the universe and cosmos when Ellie Sattler returns.” Goldblum said. While it is possible that Dern filmed a cameo for Fallen Kingdom, akin to her small part in the 2001 threequel, fans are adamant that Sattler returns for a much more involved role in the franchise. After all, Dern’s coming off an Emmy win for her performance in Big Little Lies, so it might not be as simple as a phone call to snag the hot commodity. Nevertheless, if Goldblum’s return is any indication, a reprisal by Laura Dern doesn’t seem that out of the question. I guess we’ll just have to wait and see for ourselves when Jurassic World: Fallen Kingdom stomps into theaters this June.